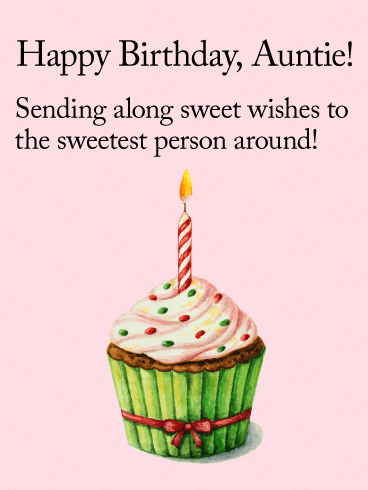 This birthday greeting is short but very sweet…and it's sure to be a big hit with for your favorite auntie as she celebrates another year! A charming pink background with a whimsical scroll design is highlighted by a single cupcake, tied with a charming bow and topped by a single candle to wish her a wonderful day! What a treat for someone as special as she is!